Even Attorney’s Need A Notary Sometimes	FAQ: The Notary Stamp On My Document Expired – What Do I Do Now? Thinking about death isn’t such a pleasant thing – but being prepared for it is. Part of that process is making sure that you have an updated and accurate Last Will and Testament. Because there are many legal resources available online for low or no-cost many people will choose to prepare their own Will and Testament to save a few dollars, rather than paying an attorney. It seems like the obvious thing to do, once the Will is complete, it should be taken to a Notary Public so that it can be notarized to “prove” the intentions of the signer. As part of the comprehensive training that all California Notary Public’s go through now, I will ask you to seek the council of an estate planning attorney before requesting me to notarize your Will. An improperly created Will that is notarized can in face be null and void. While I can not provide you with ANY legal advice, I will only notarize your Will if you give me specific directions that your attorney has instructed you to do so. If you seek to have your Will notarized, you should be able to provide your notary with the name, address and phone number of the attorney who advised you to seek notarization of your Will. 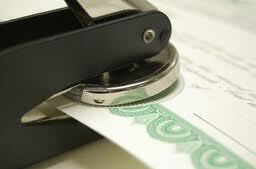 Only then should a California Notary Public proceed with the notarization process of your Last Will and Testament. This is a very nice and informative post. Training is very important in any field and when it comes to notaries it becomes more important. Taking out your time and efforts to write a post like this is very appreciation. Keep sharing this useful post.